NASHVILLE, Tenn. - As much of the United States debates the use of lethal injections against a backdrop of drug scarcity and botched executions, Tennessee has found an alternative: the electric chair. The state's Republican governor, Bill Haslam, approved a law Thursday allowing Tennessee to electrocute death row inmates if prisons lack the correct drugs. The drugs have become increasingly difficult to obtain because of a European-led boycott on drug sales for executions. Tennessee has become the first U.S. state to reintroduce the electric chair as an execution method without giving the doomed prisoner an option, according to Richard Dieter, executive director of the Death Penalty Information Center, which opposes executions and tracks the issue. "There are states that allow inmates to choose. But it is a very different matter for a state to impose a method like electrocution," Dieter said. "No other state has gone so far." Dieter forecast legal challenges if Tennessee seeks to electrocute a prisoner. He said Tennessee would need to prove it couldn't obtain the appropriate drugs and demonstrate that the electric chair doesn't violate the U.S. Constitution's protections against cruel and unusual punishment. Tennessee's decision comes a month after a botched execution in Oklahoma inspired international debate about the use of lethal injections. In that case, convicted killer Clayton Lockett began writhing, clenching his teeth and straining to lift his head off the pillow after he had supposedly been rendered unconscious by the first of three drugs in Oklahoma's new lethal injection combination. Lockett, 38, died of an apparent heart attack 10 minutes later. A Vanderbilt University poll released this week found that 56 percent of voters in Tennessee support use of the electric chair, while 37 percent oppose it. Previous Tennessee law gave inmates who committed crimes before 1999 the choice to die by electric chair or lethal injection. The last inmate electrocuted, in 2007, was Daryl Holton, a Gulf War veteran who killed his three sons and a stepdaughter with a rifle in 1997. Tennessee has 74 inmates on death row. Billy Ray Irick, who was convicted of murdering a 7-year-old Knoxville girl he was babysitting in 1985, is the next prisoner scheduled for execution, on Oct. 7. Thirty-two states have the death penalty. All rely at least in part on lethal injection. Fewer than a dozen regularly carry out executions; Texas leads that list. The federal government also uses lethal injection but rarely commits executions. The Supreme Court has never declared a method of execution unconstitutional. It upheld the firing squad in 1879, the electric chair in 1890 and lethal injection in 2008. The court has said the Eighth Amendment prohibits inflicting pain merely to torture or punish an inmate, drawing a distinction between electrocution and centuries-old practices such as drawing and quartering. 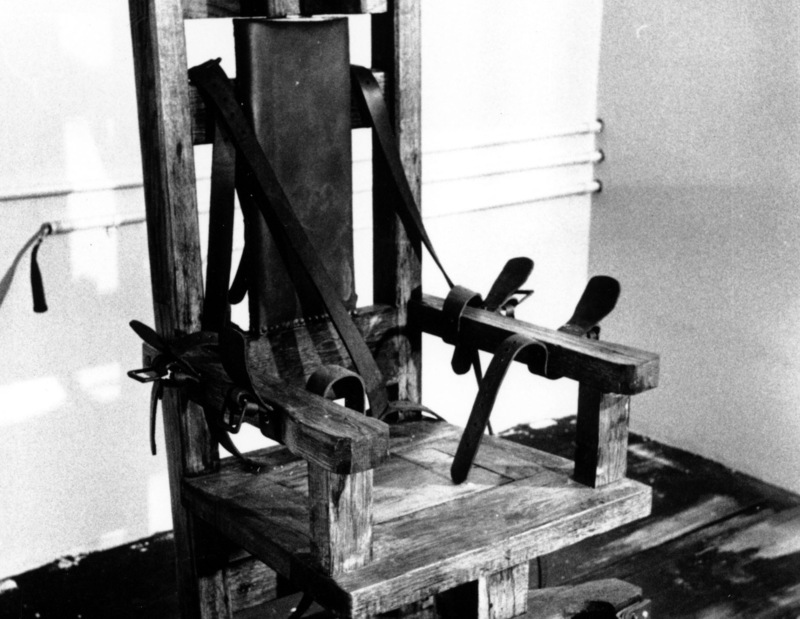 First used by New York in 1890, the electric chair remains an option in eight states. Since 1976, 158 inmates have been executed by electrocution. It was considered humane when introduced, but has produced many horrific executions over the years.